In the 21st century HR tasks can be done easily. These tasks can be easily done by HR Software’s. This software’s makes things easier and simpler. They are flexible combination of certain dynamic applications and modern technologies. This software’s will help you to reduce your time, effort, workforce and cost of various business activities, especially for those which are related to HR department. Centralized Database: It is the pillar through which the entire software retrieves data and provides accurate information. The centralized employee database must have a complete list of all current as well as ex-employees along with their necessary personal information as for example their address, personal contact number, work experience, the number of years in the current company, etc.Recruitment: This module simplifies the complex hiring processes. Using this feature of HR software one can find the right candidate for a particular position. It is very important to know that recruiting the right person on right time, at right place and for right position is essential. From internal form-filling to online tracking of applicants; this automatic component provides a complete solution. On boarding: After recruitment, it comes on boarding which means to introduce the newly hired candidates to the organization. Having an on boarding feature helps the HR to take the new staff through the organization and arrange inductions; all in just a few clicks. New recruits can also use this module to introduce themselves to the enterprise or concerned departments.4. Attendance & Leave: Here comes another important feature which is called Attendance Software in Saudi Arabia. This module works after the on boarding of the candidate. By the help of this feature, the HR manager can keep a real-time track of employee hours, including the entry and exit time as well as system login. Concurrently, they can also keep an eye on approved, unapproved and approval pending leaves. Thus, the managers can maintain an automated record of attendance and leave of all the employees. 5. Payroll: Attendances and leave determine the payroll. 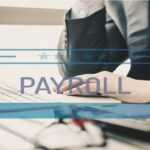 Payroll module of human resource software solution is the helping one, as it generates the final salary of an employee by cutting or adding the leave or respective incentives of that employee. Pay is a kind of motivation which helps you in maintaining employee retention. With such software your employees will also remain satisfied that there is no manual error. 6. Performance Management: While working in an enterprise, employees undergo an appraisal procedure, where they are reviewed by their reporting officer and the management. 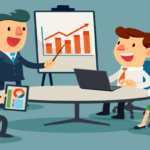 Thus, monitoring and measuring the performance of every employee is a crucial task. So, this module of Performance Management Software in Saudi Arabia makes the complex measurement process an easy one by simplifying the tracking of the performance of employee over a certain time period. These software solutions not only reduce the important time & effort of business but also reduce the workforce and cost required in performing such activities. So, overall these software solutions are a valuable component of your business.